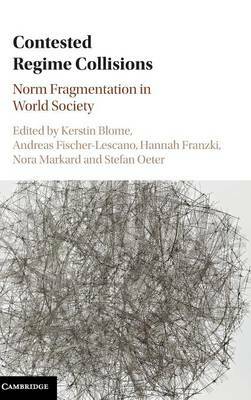 This collection of innovative contributions to the study of legal pluralism in international and transnational law focuses on collisions and conflicts between an increasing number of institutional and legal orders, which can manifest themselves in contradictory decisions or mutual obstruction. It combines theoretical approaches from a variety of disciplines with theoretically informed case studies in order to further understanding of the phenomenon of regime collisions. By bringing together scholars of international law, legal philosophy, the social sciences and postcolonial studies from Latin America, the United States and Europe, the volume demonstrates that collisions between various institutional and legal orders affect different regions in different ways, highlights some of their problematic consequences, and identifies methods of addressing such collisions in a more productive manner.